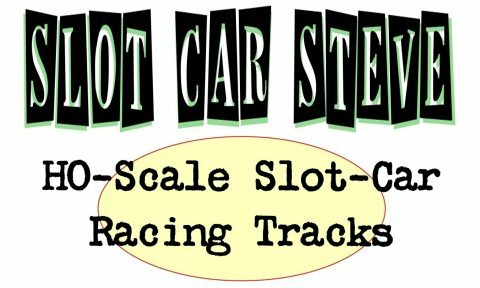 SlotCarSteve for fun, affordable HO scale racesets ! Click this link to see All My Racing Tracks currently available on CraigsList in Portland. 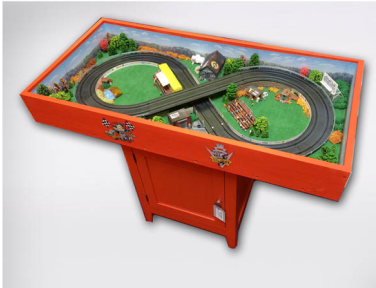 Includes a few custom, many brand-new, and a couple of refurbished HO-scale Slot Car Race Sets. plus Auto World's ThunderJet, X-Traction, 4gear, and Super-III. It is a very fun event for a good cause! (Last year Steve made a fun pub chair which you can see a link to on the same page). Check out my new upcoming Art Shows/Exhibits on the ArtToaster.com calendar! See MORE of my sites!! !